The Guwahati Central Excise Department on July 26 seized and destroyed 250 litres of country liquor. 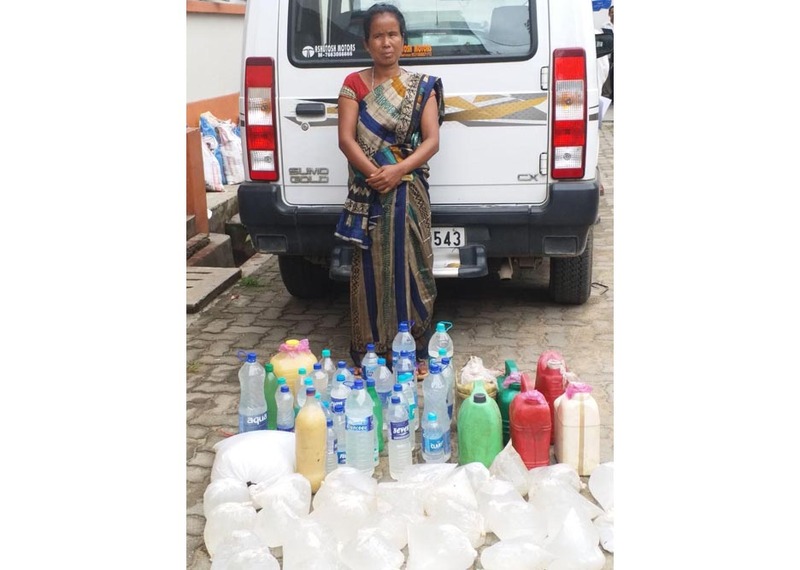 In a three-pronged attack, under the order of Kamrup Excise Commissioner the first operation was carried in the Beltola weekly market where a team led by Acting Excise Inspector, Apurba Das seized 150 litres of country liquor and arrested one woman. In Panikhaiti area, three people were fined for consuming liquor at a public place under the Assam Excise Act (Amended) 2018 by Excise Sub-Inspector, Jyotipran Kumar. The third operation in Fancy Bazar, Gate No. 2 was led by Excise Sub-Inspector Ujwal Dey. The liquor dens were operating near the railway tracks and were causing nuisance in the area. These make-shift liquor dens were destroyed by the team. Around 100 litres of country liquor was destroyed and a woman was arrested in this connection.